The US Defense Science Board report of 2013 states that “in a perfect world, DOD operational systems would be able to tell a commander when and if they were compromised, whether the system is still usable in full or degraded mode, identify alternatives to aid the commander in completing the mission, and finally provide the ability to restore the system to a known, trusted state. Today’s technology does not allow that level of fidelity and understanding of systems.” The report brings out that, systems such as automated intrusion detection, automated patch management, status data from each network, and regular network audits are currently unavailable. A cyber-attack against critical national infrastructure could therefore have a cascading effect upon economy, society, and government in ways difficult to understand, model or predict. In cyber warfare, it has been claimed that opponents can distract, disrupt, and demoralize a nation by skilful use of cyber tools, timing, surprise, and an adversary’s specific vulnerabilities. These vulnerabilities are not restricted to military targets; the ability to attack civilian targets such, as public utilities or financial sector can be far more dangerous and subsequently more effective, at discouraging and deterring potential adversaries because of its immediate social and political effects.Theoretically at least, an adversary may not need kinetic weapons to render a nation incapable of defending itself. On the other hand, it has not been feasible to assess the real cyber warfare capabilities of nations because these have never been used in large scale war-fighting resulting in serious damage or led to a full scale war between nations. It is reasonable to presume that current tools of war would continue to be utilized for achieving military objectives simply because cyber-attack in its current form exists as a one time gambit, since cyber weapons are transient and last only until the breaches are plugged. There is no doubt that delay and denial can be achieved to a large extent but whether that would lead to a victory on ground is a fact yet to be seen. ** How will the US military prepare for future conflicts? Senior Airman Michael Van Deusen, 455th Expeditionary Security Forces Squadron quick reaction force, gets out of a mine-resistant ambush-protected (MRAP) vehicle during patrol, Bagram Airfield, Afghanistan, Sept. 27, 2016. Freedom's Sentinel, the follow-on to Enduring Freedom, is the continuing U.S. effort to train, advise and assist Afghan security forces as well as conduct counterterrorism operations in Afghanistan. Editor's note: This is the final installation of "Facing the Future: Military matters facing the next president," a five-part series. As Hillary Clinton and Donald Trump light up cable news and engage in debates, national security and military experts for the presidential candidates are thinking about the conflicts to come. A growing list of challenges, from the dangerous and shifting threat of the Islamic State group to Cold War-era politics reanimating tensions with Russia and China, along with a re-escalation in Afghanistan, could, in part, frame the rest of the election, and the American public will expect action on a host of national security priorities shortly after the oath of office is taken. But while navigating the tensions across the globe, a more philosophical question about the future of the U.S. military must be addressed: How should America’s forces and taxpayers adapt to a world rife with conflict where foes range from the lone extremist with an assault rifle to menacing fleets of warships? The war against the Islamic State group is a good testing ground for the Pentagon to weigh its options for reshaping the U.S. military to defeat threats of all sizes. There are, however, certain obstacles, which have not yielded the true potential of defence cooperation between the two strategic partners. Though the US has emerged as the largest defence supplier in terms of value, Russia continues to be India’s single-most important supplier of defence hardware as far as the number of units is concerned. Moreover, India remains wary of the reliability of US as a defence partner because of historical suspicions. Americans, on the other hand, find India’s defence offset policy as difficult to fulfill. India and the United States (US), and the emerging strategic partnership between the two, is directed with shared strategic logic, which includes the rise of China, Islamic fundamentalism and extremism and mutual agreements on various international issues. The two countries have been forging closer defence cooperation, which is one of the crucial engines of the strategic partnership. The US has emerged as the largest defence supplier to India in terms of value. A number of initiatives, agreements and forums have been designed and created in order to further boost military-to-military cooperation, defence co-production and co-development as well as collaborations in R&D in defence technology. The June 2015 Defence Agreement signed between the US Secretary of Defence Ashton Carter and the Indian Defence Minister Manohar Parrikar envisions further strengthening of the defence relationship. There are, however, certain obstacles that have prevented full exploitation of the true potential of defence cooperation between the two strategic partners. Though the US has emerged as the largest defence supplier in terms of value, Russia continues to be India’s single-most important supplier of defence hardware as far as the number of units is concerned. Moreover, India remains wary of the reliability of US as a defence partner because of historical suspicions. Americans, on the other hand, find it difficult to comply with India’s defence offset policy. Even before the Indian Army conducted surgical strikes against terrorist targets in Pakistan-occupied Kashmir (PoK) on the night of 28-29 September 2016, Pakistan has long been fond of rattling its nuclear sabre. It is true that Pakistan’s purported development and deployment of tactical nuclear weapons (TNWs) and the means to deliver them poses challenges for any potential Indian conventional military response to an act of extreme provocation that may occur. But India is not without options and can indeed take steps to avoid crossing whatever Pakistan’s nuclear redlines may be. Nevertheless, given the relative lack of clarity about what those nuclear redlines are, India may find itself faced with the choice of either abandoning a conventional military option or preparing, should the need arise, to call Pakistan’s nuclear bluff. Should India choose the latter, the key to calling Pakistan’s nuclear bluff lies in ensuring that the Indian armed forces are prepared to meet the threat of TNW use by Pakistan. This involves taking both adequate passive measures to mitigate the impact of a TNW attack and active measures to intercept delivery vehicles aimed at Indian targets. Spatial: Indian armed forces occupying a large swathe of Pakistani territory. Military: Indian armed forces completely knocking out or comprehensively destroying a large part of the Pakistani armed forces. Economic: Any Indian attempt to economically strangulate Pakistan. Political: Possibly, an attempt to militarily assist a secessionist movement in Pakistan to the extent that the said movement has a reasonable chance of success. None of these thresholds is, however, well defined. For instance, it is difficult to imagine any country using nuclear weapons to break an economic blockade. Indeed, the viability of such a response is questionable as retaliation would inevitably follow. Similarly, the political threshold lacks credibility in the absence of a clearer description of what the target of a nuclear weapon would be. Is Pakistan concerned about an Indian military intervention in support of an independent Baluchistan a la Bangladesh? This lack of clarity and, it is suggested, implausibility, renders the political threshold somewhat suspect. This also holds true, and to a greater extent, for the military threshold. Where does the threshold for “comprehensively destroying a large part” of Pakistan’s armed forces lie? The spatial threshold is perhaps most easily understood and as such also the easiest to incorporate into operational planning by the Indian military. The UCC is not about painting the country in “one colour”; it is about giving fundamental rights supremacy and guaranteeing everyone equality before the law. The All India Muslim Personal Law Board (AIMPLB), an organisation comprising hidebound clerics who often oppose progressive ideas, has shown its patriarchal mindset once again by deciding to boycott the Law Commission’s questionnaire seeking its views on a Uniform Civil Code (UCC). At a news conference yesterday (13 October), the board alleged that the Law Commission’s questionnaire was a covert attempt to impose a UCC, and this tied in with the Narendra Modi government’s affidavit in the Supreme Court to ban triple talaq. The Hindu quotes Jamait Ulema-e-Hind president, Maulana Arshad Madani, a member of the AIMPLB, as saying this is “destructive”. The government, he said, “should try to fix this and ensure peace than seeking views on issues like UCC”. AIMPLB general secretary Wali Rehmani claimed the UCC was about reducing diversity, seeking to paint the country in “one colour”. All the arguments are bunkum, and the government should call not only the AIMPLB’s bluff, but all so-called “secular” parties’ equivocation on the UCC. The same secularists who think gau raksha cannot be a national obsession (and one must agree here), cannot go around defending patriarchy and narrow religious laws when it comes to the minorities. Here’s why the AIMPLB’s arguments make no sense. Following the ‘balloon effect’ analogy, if pressure is applied to one area of a balloon, air will seek to occupy an area with less resistance. If the Islamic State continues to lose territory in Iraq and Syria, it may turn to other areas, like Pakistan, in a desperate attempt to exert power. The Pakistani government must prepare for this possibility now by improving the National Action Plan to address the Islamic State threat specifically and better implementing elements of the existing plan that can counter IS, like instituting reforms in FATA. Finally, the United States and its allies would do well to recognize the potential for IS growth in Pakistan and exert pressure on their Pakistani counterparts to stymie that threat now rather than later. In the battle against the Islamic State (IS), the United States and its allies have rightly focused on areas where the group controls territory, like Iraq and Syria, as well as IS ‘provinces’ of particular concern, like Libya. However, the group’s presence further east in Pakistan and Afghanistan is increasingly troubling and deserves attention. While the geopolitical landscape in Pakistan has prevented IS from gaining a strong foothold in the country thus far, this situation will change if IS shifts its focus to the region or if the power dynamics between Pakistani militant groups facilitate increased influence. Pakistan and its allies must act now by understanding evolving relationships between militant groups, addressing the flaws in Pakistan’s National Action Plan, and creating additional policies that deal with the IS threat specifically. INTELLIGENCE COMMUNITY DOCUMENTSobtained by The Intercept, detailing the purpose and achievements of the Haymaker campaign, indicate that the American forces involved in the operations had, at least on paper, all of the components they needed to succeed. After more than a decade of war in Afghanistan, a robust network of intelligence sources — including informants on the ground — had been established in parts of the historically rebellious, geographically imposing provinces of Kunar and Nuristan. The operators leading the campaign included some of the most highly trained military units at the Obama administration’s disposal, and they were supported by the world’s most powerful electronic surveillance agencies, equipped with technology that allowed for unmatched tracking of wanted individuals. Despite all these advantages, the military’s own analysis demonstrates that the Haymaker campaign was in many respects a failure. The vast majority of those killed in airstrikes were not the direct targets. Nor did the campaign succeed in significantly degrading al Qaeda’s operations in the region. When contacted by The Intercept with a series of questions regarding the Haymaker missions, the United States Special Operations Command in Afghanistan declined to comment on the grounds that the campaign — though now finished — remains classified. The IMF has warned Pakistan that China's growing investments in the country, including the $46 billion economic corridor, have the potential to lift the cash-strapped economy's potential output, but the repayment obligations that come with it will be serious. The IMF has warned Pakistan that China’s growing investments in the country, including the $46 billion economic corridor, have the potential to lift the cash-strapped economy’s potential output, but the repayment obligations that come with it will be serious. “During the investment phase, as the ‘early harvest’ projects proceed, Pakistan will experience a surge in FDI and other external funding inflows,” says the IMF in a short evaluation of the impact of China-Pakistan Economic Corridor (CPEC) related investments on Pakistan. However, the import requirements of these projects “will likely offset a significant share of these inflows, such that the current account deficit would widen” within manageable levels during these years, the international lender was quoted as saying by the Dawn newspaper. In the first decade after independence in 1947 India had seven army chiefs. During the same period, Pakistan had seven prime ministers. While India ran down its defence forces, the Pakistani political leadership messed up their new country. The first prime minister of Pakistan, Liaquat Ali Khan, a Mohajir from India, was assassinated. The next six PMs included Huseyn Suhrawardy, a mass murderer, and Mohammad Ali Bogra, an American appointee. Pakistan remained a political wasteland as its elites could not even draw up a Constitution. The Economist noted that the country’s politics during that first decade ranged between "the grotesque and the macabre". It was in the backdrop of communal riots, urban decay and food shortages that the Pakistan Army staged its first coup, in 1958. Just as Indians saw trains running on time and government employees punctually reporting for work during the Emergency of 1975-77, the Pakistani public too witnessed dramatic improvement in their everyday life under military rule. For instance, shortly after the coup, General Ayub Khan casually remarked that the maximum penalty for concealing food stocks was death. Within hours, former Prime Minister Malik Firoz Khan Noon admitted he was holding 3000 tons of wheat in his private warehouse. Two other ex-ministers hurriedly declared they had wheat hoards of 6250 tons and 1500 tons each. Major-General Iskander Mirza, in his presidential proclamation of martial law, pointed an outraged finger at the “ruthless struggle for power, corruption, the shameful exploitation of our simple, honest, patriotic and industrious masses, the lack of decorum and the prostitution of Islam for political ends”. The world can’t depend on Western demand and consumption, financed by printing more money. China must team up with India, Brazil and Indonesia to restructure the IMF and World Bank. There is a misplaced notion prevalent in India that China’s slowdown means an opportunity for India. Even chief economic adviser Arvind Subramanian, though somewhat circumspect, says: “Cheap oil will help our macro-economic indicators. The Chinese slowdown and massive excess capacity in sectors like steel will put pressure. But the cost of building infrastructure has come down due to a fall in commodity prices. This will boost infrastructure development. India will remain an attractive destination.” To expect foreign capital to build India’s infrastructure is naïve. Foreign funds invariably come with a short-term perspective, and experience shows investment in India’s infrastructure is neither easy nor does it offer attractive returns. The two economies are now in two entirely different stages of development. China’s GDP is three and a half times bigger than India’s. Its GDP is in excess of $7 trillion while India has just scaled $2 trillion. How China moves and acts in future will affect developed economies enormously as it has been the major provider of growth in the past two decades, and India’s growth had little bearing or derived little benefit from it. They exist in different orbits of the world economy. A slowed-down China now growing at seven per cent still adds $490 billion to global growth, while a speeded-up India now growing at seven per cent adds a mere $140 billion. For India to pick up the Chinese slack, it has to post a more frenetic 9-10 per cent growth in the next decade or more. There isn’t even a glimmer of that now. While the Chinese economy doesn’t compete directly with India’s, the effect the former imposes on the global economy is likely to influence the Indian economy. In this regard, whether a slowing Chinese economy will really create more opportunities for India needs rethinking. If the global economy slows down further as part of the results of Chinese economic restructuring, it is difficult to see how a sluggish world economy will help India’s economy. BEIJING — China’s march into space took another step forward Monday, as two astronauts embarked on the nation’s longest manned mission. The pair aim to dock with an orbiting space lab and remain aboard for 30 days, a crucial step in China’s plans to operate its own space station by 2022, and part of a much broader space program that has ambitions to put astronauts back on the moon and land an unmanned rover on Mars. State-run China Central Television (CCTV) showed the Shenzou-II spacecrafttaking off from a launch center on the edge of the Gobi Desert in northern China at 7:30 a.m., carried by a Long March-2F rocket. The pair were seen on board saluting seconds before takeoff. They will dock with the Tiangong-2 lab in two days, and conduct a series of scientific experiments, testing computers as well as propulsion and life-support systems, CCTV reported. Iraqi and regional actors are preparing to assist with or spoil the Iraqi Security Forces’ (ISF) operation to retake Mosul and its environs from ISIS. Prime Minister Haidar al-Abadi announced the start of operations to retake the city on October 17. The ISF began shelling ISIS-held villages south of Mosul, Iraqi Army armored units and Federal Police advanced towards Mosul near Gwer, southeast of Mosul, and Peshmerga units began advancing towards Mosul from Khazar, east of Mosul. The ISF’s operation against ISIS will require security forces to isolate Mosul before it can begin a block-by-block clearing operation in the city itself. The ISF recaptured Shirqat, the last major ISIS-held city on the Mosul-Baghdad highway, on September 22, thereby setting the operational conditions to launch operations for Mosul. The ISF will need to continue its line of effort up the highway while also encircling the city from the north and northeast. ISIS will seek to conduct attrition warfare against the ISF before it arrives in Mosul, leveraging its remaining lines of communication in Anbar, Ninewa, and Syria to shift people and supplies. ISIS will also use the sparsely populated areas on both the eastern and western sides of the Tigris River to launch attacks against recaptured areas and the ISF. The ISF does not have the force size to take both the city and its environs on its own. Consequently, although the ISF will lead the operations into the city proper, they will need to cooperate with the Kurdish Peshmerga, who hold the majority of terrain surrounding the city. However, the Peshmerga participating in anti-ISIS operations will likely exploit the opportunity to take control of areas by displacing Sunni Arabs from their homes, as they did following operations in Sinjar in November 2015. KHAZIR, IRAQ — Iraq announced the beginning of its offensive for the northern city of Mosul on Monday, embarking on the country’s biggest fight against Islamic State militants so far. In an early-morning televised address, Prime Minister Haider al-Abadi pledged to raise the Iraqi flag over the city once more, calling on residents to cooperate with the advancing forces. The operation aims to push the militant group out of its de facto capital in Iraq, the most populous city it controls. More than 1 million civilians are thought to be trapped in the city. Tens of thousands of Iraqi troops from an array of the country’s forces have been drawn together to achieve that feat: Kurdish peshmerga soldiers, Sunni tribal fighters, army troops, police officers, Shiite militias and elite counterterrorism units. 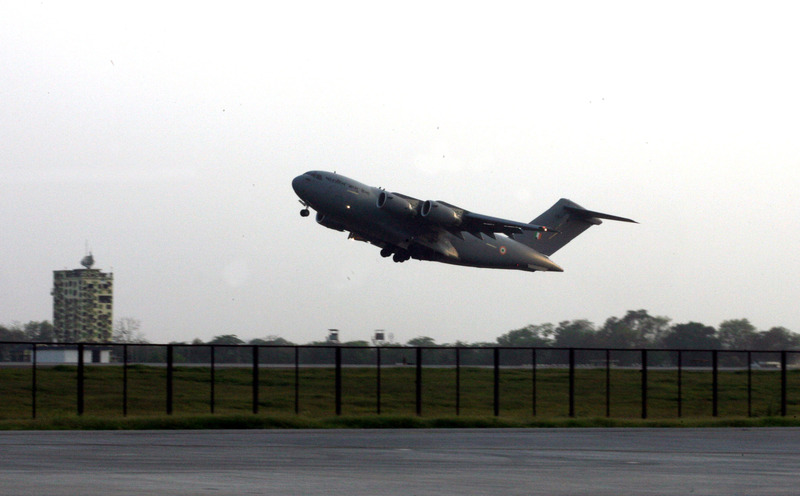 From the sky and on the ground comes close support from the U.S.-led coalition. Despite sometimes competing agendas, they have united — at least for now — to take back the Islamic State’s most prized remaining territory in the country. Mosul, about 250 miles north of Baghdad, is the Islamic State’s last major stronghold in Iraq, and the city has come to symbolize the group’s rise here. It was in Mosul’s Great Mosque that Islamic State leader Abu Bakr al-Baghdadi announced his self-proclaimed caliphate more than two years ago. The United States currently finds itself in several grey zone conflicts - political, economic, informational, or military conflicts where normal diplomacy has proven insufficient, but the conflict occurs short of a conventional war. In these situations, Unconventional Warfare (UW) has rarely been a first - or second or third - choice among options to influence a foreign power and achieve U.S. foreign policy and national security goals. However, UW provides the U.S. with the capability to deal with a foreign adversary without having to own the foreign terrain and the associated entanglements after the conflict is over. UW is conducted by the Department of Defense primarily with Special Operations Forces (SOF) to enable a resistance movement or insurgency to coerce, disrupt, or overthrow a government or occupying power. UW looks a lot like covert action in the eyes of our legislators, but without the oversight processes that provide a balance between executive independence and congressional oversight. Without clear roles for the executive and legislative branches, there is inherent unease within both branches to use UW to achieve U.S. foreign policy goals. At best, the executive branch views UW as an ill-defined military mission encumbered by significant legislative concerns. At worst, legislators see UW as the next embarrassing military flap waiting to happen because of a lack of oversight. Even when the Defense Department is able to overcome these concerns, there is no clear and timely legislative path for gaining authorization and funding for UW missions. In this paper, we explore how the similarities between covert action and UW activities have led to a negative perception of UW and lengthy delays in its use. We then offer three actions to overcome these perceptions and enable the use of UW as a timely foreign policy option: creating a statutory definition of UW; proactively establishing congressional oversight and reporting mechanisms; and creating a specific legislative mechanism for acquiring authorization and appropriations. What is there to say about Syria? That it is a tragedy? That only the horrors of the Holocaust, Pol Pot’s reign of terror, and Mao Zedong’s Cultural Revolution diminish its human toll? That the so-called international community strenuously condemns the murder of hundreds of thousands and the displacement of half of Syria’s population? These are, as so many have pointed out, merely words to salve the collective conscience of officials who have chosen to do the absolute minimum while a major Middle Eastern country burns. This tragedy was coming. It was obvious once Syrian President Bashar al-Assad militarized the uprising that began in the southern town of Deraa in March 2011. Policymakers in Washington and other capitals assured themselves — against all evidence — that it was only a matter of time before Assad fell. But anyone who knew anything about Syria understood that the Syrian leader would not succumb the way Tunisia’s Zine al-Abidine Ben Ali or Egypt’s Hosni Mubarak did. No, Assad’s ignominy is different, borne of the unfathomable amount of blood he has spilled. There was a time when this violence could have been minimized and American interests served through an intervention, but policymakers acquiesced to the arguments of those who said it was only a matter of time or, when Assad did not fall quickly, that it was too hard. Until it actually was. Now, the desperate images emerging from Aleppo have made it impossible to look away. It remains a matter of debate precisely what the Syrian air force and its Russian partners seek in Aleppo, thought it seems that they are seeking to wrest control of the eastern half of the city by flattening it from the air. Top oil and gas companies are exploring the possibility of employing smarter technologies to cut costs and overcome the challenges that surfaced following deep slide in crude prices. Total, Chevron, Shell and Statoil are experimenting with various technologies from data management, drones and drill design, to slash costs in a bid to safeguard the infrastructure that will allow them to compete and grow when the crude prices recover. Total, French oil and gas major, is now using drones to conduct detailed inspections on some of its oil fields, while Norwegian company, Statoil, which has cut its development costs, savings have largely been made by focusing on the most efficient technology and designs. Anglo-Dutch major Shell, on the other hand, has developed a new type of pipe to carry oil and gas from its deepwater Stones field in the Gulf of Mexico for processing. The company said innovations at Stones had played a significant part in cost savings. Chevron is using a robotic device to clean and check the inside of pipelines on their Erskine field which has helped raise the field's daily production rate to the highest in two years. Canaccord Genuity oil and gas equity analyst Alex Brooks said technology innovation in the industry was about "100 tiny things", adding: "The bottom line is you end up with a much lower cost." (Dreamstime image: Borislav Bajkic) SHARE ARTICLE ON FACEBOOKSHARE TWEET ARTICLETWEET PLUS ONE ARTICLE ON GOOGLE PLUS+1 PRINT ARTICLE ADJUST FONT SIZEAA by GEORGE WEIGEL October 17, 2016 4:00 AM Unlock Free Digital Access Both externally and internally At a dinner party in Warsaw earlier this month, I listened to a dozen highly intelligent Poles with significant experience of public life discuss the current woes of the European Union. Like so many of their countrymen, these men and women had invested considerable hopes in the EU. Indeed, a decade ago, Poland’s accession to the European club, like its membership in NATO, seemed to fulfill the bright promise of the Revolution of 1989, for these new configurations of European politics signaled the end of Poland’s exile from its natural home in the West, which had begun with the German and Soviet invasions of 1939. Yet it was clear to my dinner companions that something was wrong with the EU; Brexit and what it might portend was on everyone’s mind; and so the Poles spent 90 minutes belaboring the question of what was wrong with the way the European project was working these days. Then our host turned to me and asked whether I had any thoughts. I said I hoped no one would take offense if I said that I felt as if I’d been kibitzing a conversation in Geneva in 1936, in which experienced and sophisticated people spent an evening discussing how to make the machinery of the League of Nations work better. I understood their concerns about the sometimes creaky, sometimes overbearing machinery of European governance. But, I suggested, Europe’s deeper problems really hadn’t been broached that evening. The following morning, at the inaugural conference of the new Foundation for Service to the Republic, held in the library of Warsaw University and attended by senior Polish political, cultural, and business figures, I had the opportunity to identify, in a brief presentation, what seemed to me the real threats to Europe in these first decades of the 21st century, beginning with the external environment and then moving “inwards.” THE EXTERNAL THREATS One. Over the past year, Donald Trump has been able to channel the anxieties of a significant segment of the American public into a powerful political force, taking him to the doorstep of the White House. These public anxieties stem from growing concerns about the effects of globalization on the American economy and about the changing demographics of the United States. Although Trump has been able to mobilize many of those who are most concerned about these developments, their motivating concerns are not new. They existed before Donald Trump entered the race, and they are likely to persist even if he loses the election in November 2016. Yet, uniquely among the candidates running for president this cycle, Trump has given voice to this group of Americans, notably through his tough stances on immigration and trade. At the same time, while this segment of the American public has given Donald Trump traction in the presidential race, his views on important issues garner only minority support from the overall American public. While they are divided on expanding a wall on the US border with Mexico, Americans overall support continued immigration into the United States and favor reform to address the large population of unauthorized immigrants already in the country. Americans overall think globalization is mostly good for the United States, and they see many benefits to free trade. And the American public as a whole—including the core supporters of Donald Trump—still favors the country’s traditional alliances, a shared leadership role for the United States abroad, and the preservation of US military superiority. Trump’s rhetoric on immigrants and refugees has most clearly struck a chord with his base. On each and every question concerning immigration, Trump’s core supporters are the least favorable. An overwhelming majority of core Trump supporters agree that immigration is a critical threat to the United States— almost double the percentage among the general public (43%, see Figure A). Six in ten Trump supporters believe that illegal immigrants in the United States should be forced to leave their jobs and the United States (63%). And nine in ten Trump supporters support expanding the wall on the border with Mexico (92%). The public overall is divided on expanding the wall, and 58 percent support a pathway to citizenship for illegal immigrants. The novel way of diplomacy proposed by foreign secretary Boris Johnsonhas so far materialised in a lone gentleman with a poster outside our embassy – not something I would describe as a big diplomatic victory. But the very fact of having to resort to (non-existent) campaigners to make a point is, in my opinion, a sign of the state of Britain’s Syria policy. Some would say thatRussia’s record on Syria has also been controversial – and here’s where I would strongly disagree. We entered the conflict on 30 September 2015. The western coalition had already been active there for years, dropping bombs and missiles, and supporting the highly-praised “moderate opposition” against the radicals – as they say. And still, Syria was on the edge of collapse. Isis, a byproduct of ham-fisted western social engineering in Iraq, gained new ground, pushing back the Syrian army as well as rival anti-government forces. They brought the conflict to a new degree of barbarity and cruelty unseen since the days of Nazi Germany. Massacres, public tortures and executions, and a slave trade on an industrial scale were a daily reality in the areas held by Isis – not to mention the destruction of many historic sites and artifacts. And they seemed to be moving in for the kill: preparing to take Damascus and rule the country by right of conquest. The establishment of a terrorist state in Syria would pose a grave threat to Russia and Europe. Over the last year, Russia has built up an expeditionary Integrated Air Defense System (IADS) in Syria. Russia intends to use this IADS to push the potential cost of continued US coalition involvement in Syria past the threshold of acceptable risk. On 03 OCT the Russian military deployed the S-300 (NATO reporting name: SA-23) air defense system to the Syrian naval base in Tartus. Russian forces already operate the S-400 (NATO reporting name SA-21 Growler) long-range air defense system, which has a claimed range of 400km, as well as the S-200 (SA-5 Gammon), in Syria. Russia also operates a number of short-range air defense systems, including the Pantsir-S1 and Buk missile systems, as well as the naval version of the S-300 a Slava-class guided missile cruiser in the Mediterranean. In addition to the IADS, Syrian forces operate the Bastion coastal defense system out of Tartus. Now that the Russian IADS in Syria is deployed and presumably fully functional, it changes the regional security situation in two ways. First, it confirms that the ongoing Russian deployment of disparate missile systems to Syria over the past year always intended to culminate in a fully functional IADS, rather than individual missile systems in different locations. SAM systems in the S-300 family (including the S-400) are designed to be both forwards and backwards compatible, which means that their component parts - command and control modules, search and fire control radars, missile launchers and missiles - may be used in different combinations. The Euro currency project is unworkable in its current form and at the risk of “collapse”, its principal architect has warned. 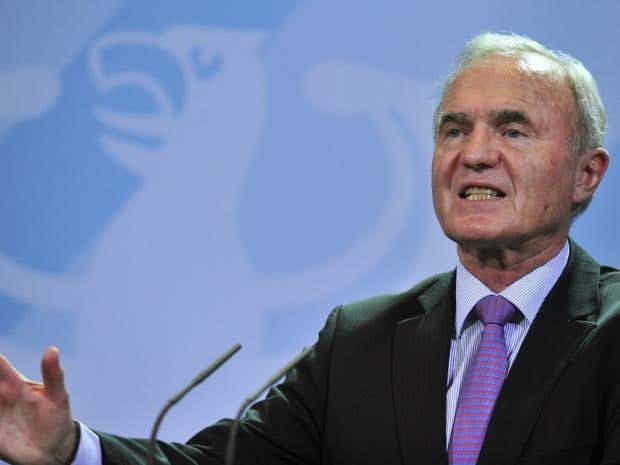 Professor Otmar Issing, the European Central Bank’s first chief economist who helped create the single currency at the turn of the century, has warned that the Euro cannot survive in its current form. He said the ECB had become dangerously overextended as it tries to manage the 19 economies using the single currency. Speaking to trade journal, Central Banking, he said: “One day, the house of cards will collapse”. He said the experiment with a single currency went from the moment it was introduced in 2002 and said it had been betrayed by the politics of the region. “Realistically, it will be a case of muddling through, struggling from one crisis to the next. It is difficult to forecast how long this will continue for, but it cannot go on endlessly", he explained. Until recently, public meetings between Japanese defense contractors and uniformed foreign military delegations would have stirred controversy in Japan, but last week’s aerospace show in Tokyo saw plenty. With the nation stepping back from decades of state pacifism amid concern over China’s growing power and a deepening North Korean threat, Japanese defense companies are finally shedding their reluctance to sell arms abroad. At the ShinMaywa Industries booth, Indonesian air force officials quizzed the company about its amphibious plane. In another corner of the Japan Aerospace 2016 show, Saudi Arabian military officers pored over military transport and patrol aircraft brochures handed out by Kawasaki Heavy Industries. “The Indonesians are very interested in our plane,” said a ShinMaywa salesmen, as one of his colleague went through US-2’s specifications with the six-man Indonesian delegation. He asked not to be identified because he is not authorized to speak to the media. The US-2 is one of the home-built military platforms that the Japanese government has identified as a candidate for foreign sales after Prime Minister Shinzo Abe in April 2014 lifted a ban on overseas arms sales. The exhibition in Tokyo, which was last held four years ago in Nagoya, is the first major aerospace show since Abe came to power. The show drew some 800 companies as well as representatives from numerous of international militaries. Russia said it’s working with China to counter U.S. plans to expand its missile-defense network, which the two nations see as targeting their military assets. The upgrades aim to give Washington the ability to launch a nuclear strike “with impunity,” Lieutenant General Viktor Poznikhir of the Russian Armed Forces General Staff said Tuesday at a security forum in Xiangshan, China, according to a transcript of his speech posted on the Defense Ministry’s website. The Asian neighbors this year conducted a joint missile-defense exercise of their computer command staff, he said. “We are working together on ways to minimize possible damage to the security of our countries," Poznikhir said. “The illusion of invulnerability and impunity under the guise of missile defense will encourage Washington to make unilateral steps in dealing with global and regional issues. This could lead to a decrease in the threshold for using nuclear weapons to preempt enemy actions. Russia’s concern about U.S. nuclear capabilities highlights a deepening rift between the Cold War foes as they trade accusations over the war in Syria. While NATO members have stressed that the alliance’s global missile shield will be a defense solely against potential attacks from so-called “rogue states,” particularly Iran and North Korea, Russia and China have been voicing concerns over their own security. In May, Russian President Vladimir Putin said that placing parts of the system in Romania and Poland -- once Soviet satellites -- is threatening peace in Europe and warned that it may trigger a new arms race. 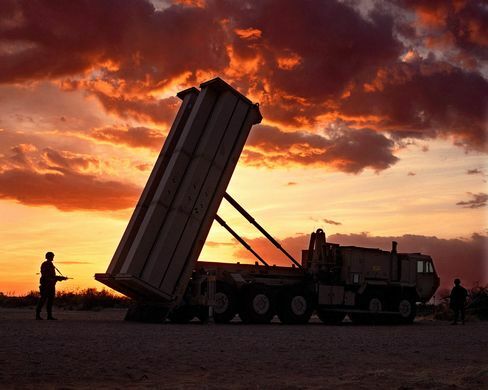 China described the U.S. Terminal High Altitude Area Defense system as an "out-and-out strategic" move that threatens its national security, warning about taking “necessary measures to safeguard” its interests. The plan has already souredChinese ties with South Korea. It is an urgent problem that has consumed foreign policy discussions for the last few years. But much more is involved than the fate of a single country in the Middle East. Underlying the Syria issue is a set of questions that have animated every major debate over foreign policy for a century: What is America’s role in the world, what are its obligations, and what happens if it falls short of meeting them? One strain of thought holds that America has a mission to champion democracy and human rights, granting it a unique role in the world, along with special powers and obligations. But that idea has always been controversial, with skeptics arguing it is an alluring myth — and a potentially dangerous notion. Joseph S. Nye Jr., a Harvard political scientist, said the Syrian war, like previous conflicts, had become a surrogate for this debate. Is U.S. Cyber Deterrence Strategy More Than (Russian) Roulette? Following the joint statement from DHS and ODNI accusing Russia of a recent spate of hacks aimed at influencing the US election, the obvious question is what exactly the US government plans to do about it. Over the weekend, the New York Times’ David Sanger and Nicole Perlroth offered a rundown of response options and Jack lamented that the Times report suggests that the US government still does not know how it should respond to Russian interference. He notes that, in the past, the US response to malicious cyber operations has been “dithering” at best. Yesterday’s news that the White House plans to issue a “proportional” but possibly secret response does not actually indicate whether any decision has been reached regarding what sort of response we can expect and when. If anything, the statement indicates a continuation of the same policies. The Administration usednearly identical language when vowing to respond to North Korea’s attack on Sony (where the ultimate visible response was sanctions) and similar terms in pledging to retaliate against the Chinese for the OPM breach (where there was ultimately no visible US response, though China did arrest individuals it claimed were responsible). It’s easy to be skeptical. Adversary nations continue to engage in significant malicious cyber activity against the United States. The only visible response from the US is a Name and Shame strategy of sanctions and indictments, which is applied sporadically and with mixed results. Name and Shame is purportedly augmented by “proportional” retaliatory cyber operations, but the secrecy and vagueness surrounding those prevent any meaningful assessment, raise questions as to whether adversaries even receive the intended message, and cannot deter outside groups who might be watching. “The group used an old exploit and “clunky” malware, nothing particularly notable,” he wrote. “What was unusual,about this operation was that the malware was signed with a stolen digital certificate, that had already been used by the hackers responsible for disrupting an Iranian nuclear power plant with the Stuxnet cyber worm,” according to the Moscow-based Kaspersky Lab. “All this made very little sense,” Lorenz Franceschi-Biccherai notes. Why Carthage Failed and Rome Succeeded.